NAMI Mercer invites both our membership and the general public to education sessions on a variety of interesting topics related to mental health. 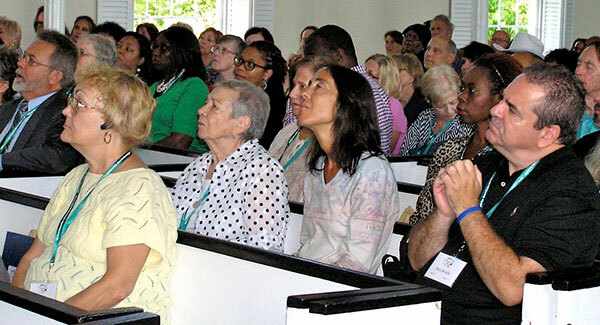 The meetings, offered at no charge, are held at various venues across the county, including the NAMI Mercer Center, public libraries, schools, churches, and hospitals. We often collaborate with like-minded organizations. Through these public education events, NAMI Mercer raises awareness, helping people better understand the complexities of mental illness. Equipped with accurate information, persons affected by mental health conditions are better able to find treatment and support, and the myths that give rise to stigma and discrimination are dispelled. We offer topics of interest to people living with mental illness, families and caregivers, mental health professionals, and the interested public. Suggestions for future presentations are always welcome.